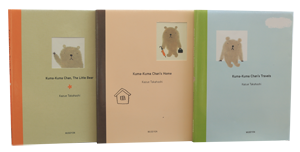 Home » Blog » How Was the Beloved Character of Kuma-Kuma Chan Born? How Was the Beloved Character of Kuma-Kuma Chan Born? Kuma-Kuma Chan lives in a small house deep in the mountains. When you read about his simple life, you will learn that enjoying every day activities can lead to having the happiest life. One day Kuma-Kuma Chan invites a friend to his home. He is not the perfect host, but he makes his friend very comfortable and they enjoy the visit. 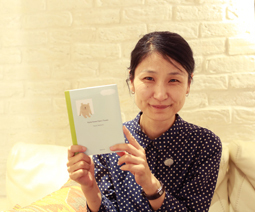 Kuma-Kuma Chan’s message of living simply and of offering hospitality to friends can be read and enjoyed by the whole family. Sometimes Kuma-Kuma Chan travels. You can read about his travels and go on imaginary journeys along with him. Previous: TATSUYA MIYANISHI KINOKUNIYA TOUR! Next: THE NEW YORK TIMES REVIEWED EATING ETERNITY! THE NEW YORK TIMES REVIEWED EATING ETERNITY! What I enjoyed editing Inspired!